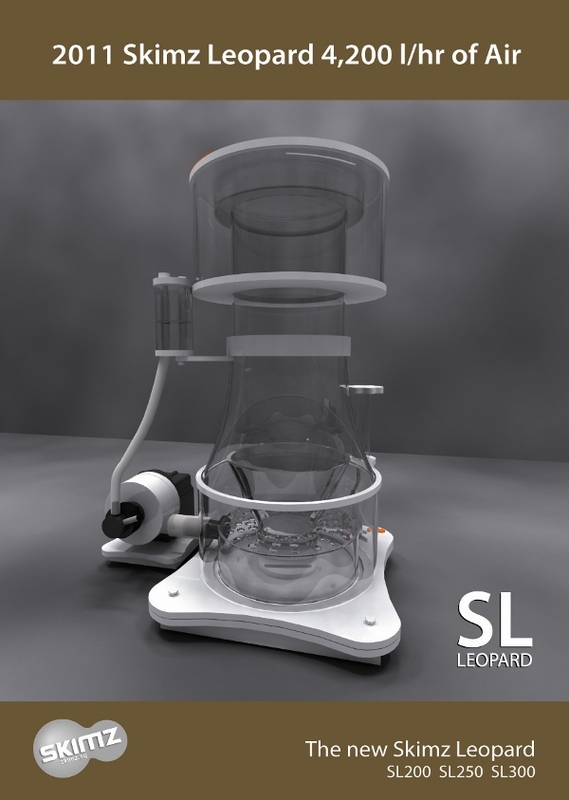 Skimz has released their new protein skimmer, the Leopard. 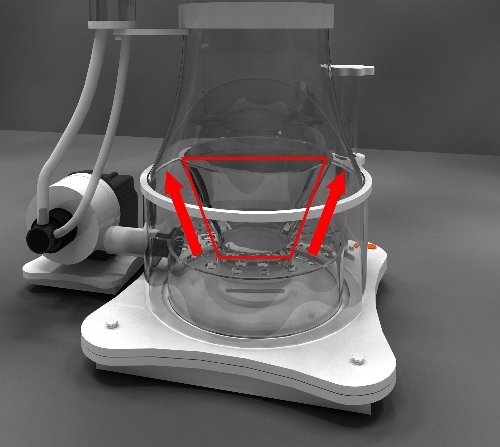 A very exciting feature, unique to the Leopard protein skimmer, is the Integrated Inverted Cone (IIC). This new feature is intended to channel bubbles to the outer ring of the reaction chamber. The idea here is to reduce turbulence within the reaction chamber, and therefore achieve improved and more consistent skimming. 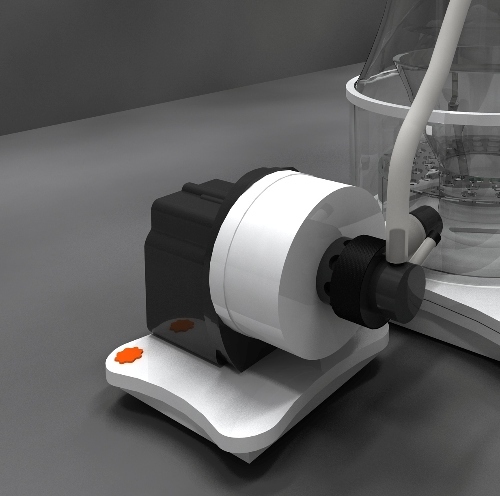 Skimz says that together with a bubble plate, this design promotes maximum air flow capacity in compact skimmers.